You are here: Home / Why Triple R Construction? Triple R Construction Inc. provides you with top-notch services in complete bathroom remodeling, kitchens renovations, decks, door & window replacement, and general home renovations. Triple R Construction Inc. is a family run business with 25 years of experience in the construction business. Our experience is diverse in a wide variety of fields such as commercial, industrial and residential construction. We hired Triple R to repair some rot and complete our basement renovation. As well as our bathroom renovation. We have an old Fairfield house which led to the project taking longer and costing more than the quoted price. Triple R were great to deal with and had no problems dealing with issues outside the original scope of the job (e.g. we had our roof redone while they were on site, and they were able to fix some pretty serious structural damage that the roofers uncovered.) Triple R gives a 10 year guarantee, which gives us peace of mind going forward. There were a couple of small issues (a new product that failed, causing a couple of minor leaks) that Byron came by quickly to fix. The finished product looks great, and we are really happy with the result. This is our first house and we were nervous about the prospect of having to do fairly significant renovations, we’re very happy we hired Triple R to do the work. 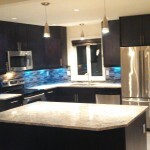 Since arriving in Victoria in 2005, we have become experts in the residential renovation field. We have built a strong network of sub-trades and suppliers, as well as providing opportunities such as the Red Seal apprenticeship program for students which encourages longevity in the company. 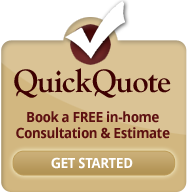 Triple R Construction Inc. is focused on 100% customer satisfaction. From the initial meeting through completion of each job, constant communication and feedback is encouraged between the company and our clients in order to help us meet and exceed our clients’ needs. Take a look at the galleries of our local work completed in Victoria in the past 7 years and read some our testimonials. We are confident that after looking at some of our work, you will feel confident booking with us for your next renovation!